← Elite Dangerous – Downloading! This entry has been written from an ‘out of character’ perspective to discuss the CSM9 Summer Summit minutes. I have been steadily working my through the CSM9 Summer Summit minutes for a few days now. As usual, it is a chunky document covering lots of stuff. This is also I think the shortest ever turn around between the Summit being held and the minutes being published, so that is a great start. Unlike some of the more recent Summits, these minutes have been released promptly enough that their contents are actually still relevant rather than being so out of date as to be near irrelevant. That said, I was surprised by how few surprises there were in it. Perhaps even more surprising, I find this in a way to be a good thing! Compared to the past, I think that CCP are being much more open with the players about their plans and are keeping stuff under wraps for less time. It may also be a by-product of the shorter release schedule. Features are being rolled out more quickly and once they are ready and less stuff is being kept quiet for the bi-annual marketing push. This all rolls together under the development roadmap and the fact that CCP have repeatedly identified what they consider to be the feature roadblocks that must be addressed to modernise and advance EVE (Industry, corps/alliance, starbases, null sec/sovereignty). So, there were fewer points in the minutes that made my jaw drop, but most of it had my head nodding in agreement. Big changes are on the cards for null sec with CCP currently prototyping two alternative approaches to future sov mechanics. This makes for a bucket full of possible speculation but not much hard detail at this point. When the summit took place CCP’s null sec working group were focusing on the Force Projection changes that just went live in the Phoebe release. Something that did come out of this was that CCP Greyscale seems to believe that they might be able to do away with reinforced timers and move to something with better gameplay behind it and fewer ‘time zone wars’. Another area that caught my eye was a discussion on using Command Ships in low sec roaming fleets. Low sec roamers typically focus on using faster, lighter vessels to cover more ground while looking for fights. Since the warp speed changes, towing a Battlecruiser-sized Command Ship around has become more awkward as its presence slows down the whole fleet. CCP it seems are very interested in making a gang-boosting Destroyer, but not under the current gang-boosting mechanics. It kind of suggested to me that CCP are looking at tackling this in the not-so-distant future and so ending off-grid boosting. I like this thought, but I guess we’ll see if they can fit it in. The final area I wanted to mention at the moment was Agent Missions. There is quite a big discussion about how CCP want to rebuild the system behind missions and the way that players are offered and accept missions. This is one of EVE’s older systems and a bottleneck in improving the PVE content. As you might expect, CCP see that players very much cherry pick which missions to do and will invariably decline certain missions at every opportunity. This results in a large amount of unused content in the game which CCP want to bring back into use. I had an idea while reading about this that I’ll cover in my next post. Just to finish up, I’m trying to watch last nights episode (#2) of the o7 show. I say trying, because my internet is terrible and the recording keeps hanging on me. At the rate its going it may take me 80mins to watch a 40min show. Anyway. I just watched the bit where they talk about changes to EVE’s death penalty. 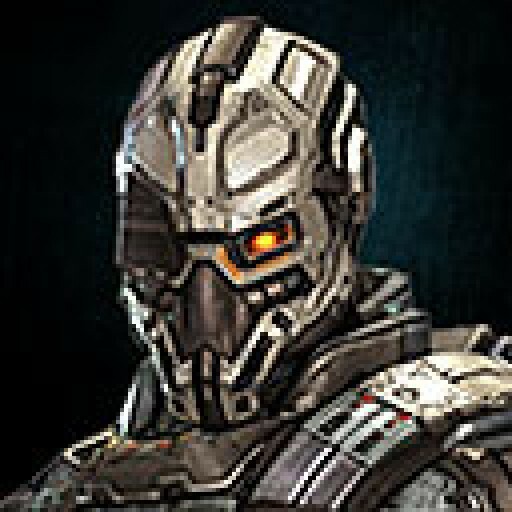 Apparently Clone grades are being scrapped and players will no longer lose skill points for having out of date clones! Did not see that coming. My first thought was ‘this is taking away from the harshness of EVE’ but then I got over it. I think players typically fall into one of two camps these days. Either they are rich enough to not care about the cost of a new clone, or they are new/poor enough that getting podded is a severe kick in the nuts that actually harms their experience of the game. Alternatively, it could be argued that its a mechanic that only really affects those in a rush or otherwise forgetful, at which point you could lose weeks of training. I’m not clear if CCP are removing the ISK-cost of being podded entirely or changing the way we pay for it, but I’m kinda hoping they go bold and just remove this mechanic entirely. After 10 years of training the same character but never becoming at all wealthy I do find that getting podded can take an uncomfortable chunk of ISK out of my less than 1 billion ISK wallet. Maybe doing away with clone fees will make us all a little risk-adverse and more willing to put our high-sp characters into positions where they are liable to get podded, such as when flying Interdictors. Seems to me that would be good for the game. This entry was posted in CSM, EVE-Online, Out Of Character and tagged CSM9, EVE-Online. Bookmark the permalink.